We are featuring goats beard this month. 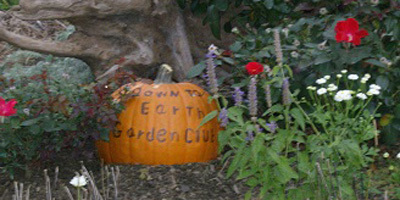 This one was introduced into our plant collection by Mary Jo who still grows it in her shade garden. She gifted me with a start 2 or 3 years ago and it has grown into a very nice specimen plant. There are several varieties of goat’s beard. They are divided by their native habitat. 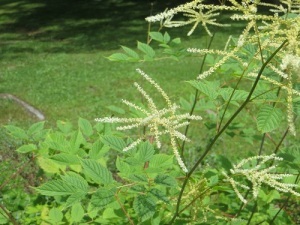 The one that grows in Pennsylvania is Aruncus doicus var. dioicus. It is found from Pennsylvania to Indiana and as far south as Arkansas. Moving east and south from Virginia to Oklahoma and Arkansas to Illinois the variety is Aruncus dioicus var. pubescens. Aruncus dioicus var. acutinatus is found growing wild in the western part of the country. The variety vulgaris is native to Europe. The named varieties that are found commercially are generally smaller and more compact than the wild varieties. They range from Aruncus aethusifolius ‘Hillside Glen’ which is 8-12 inches tall to the German hybrid ‘Zweiweltenkin’ which is 3-4 feet in height. The shorter varieties are recommended for areas that are subjected to windy conditions. While goat’s beard doesn’t produce woody growth it can be grown into a shrub like plant and requires an area where it will not be crowded. spires of small white flowers that can best be described by its alternate common name of bride’s feathers. After about 2 weeks the flowers turn a light tan color and the female plant produces a brown seed capsule. 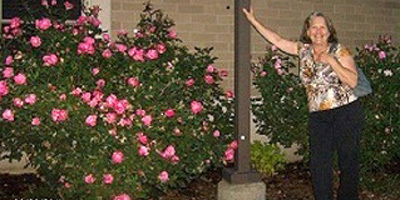 The plants are dioecious, meaning that there are separate male and female plants. The males are said to produce a more feathery flower because of the numerous stamens in each flower. The female flowers are not as showy with three sturdier pistils per flower. The plant in my garden appears to be a female for it bears seed pods. Because there are no male plants the seeds are presumable not fertile. The graceful seed pods are very attractive in the fall garden. The flowers are excellent for cutting and can be dried for floral arrangements. Goat’s beard is an ideal plant as a focal point for a shade garden. It can also be used in a woodland garden or as a transition plant in a woodland border. It prefers part shade in moderately moist or wet but well drained soil. It like rich humousy soil and will take full sun with sufficient water in the northern sections of its range. The plant is hardy between zones 3 and 9, with some variation, depending on variety. It can also be used near ponds or streams where it enjoys the added moisture and can be grown in sunnier condition. In zone 5 the plant can be grown with astilbe, lungwort, hellebores, columbine or any number of shade plants. It blooms about the same time as spiderworts and the white and purple flowers make a nice contrast. It can be anchored with groundcovers such as sweet woodruff, dead nettle or wild ginger. The deep cut leaves combine well with ferns and continue the lacy leaf pattern from the woodland floor to a higher level. Goat’s beard can also be effectively massed at the back of a shade border. The plant may be divided in the spring. Each division should have at least one eye. The only problem with dividing plants is that you will have either a male or a female plant. This eliminates the possibility of seedlings. Fresh seed is said to germinate easily. Older seed will need stratification. Since this is basically a native plant, the simplest solution to grow it from seed is to sow it in very early spring or in the fall so that it has the proper conditions to germinate. If you have both male and female plants it is said to self-sow readily. Goat’s beard is a relatively trouble free plant. It has not major insect or disease problems. Slugs don’t eat it and deer seem to ignore it. It also is not bothered by rabbits or groundhogs. It even seems to grow in areas that are not particularly moist as long as it isn’t subjected to afternoon sun. Mine is growing in what at times is a rather dry area. 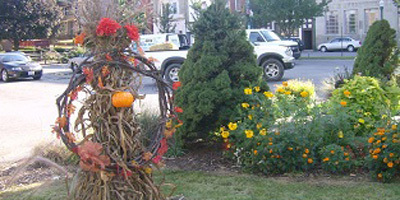 In the fall the plant should be cut to the ground and mulch may be applied. In a woodland setting the falling leaves will provide sufficient mulch.